"Likewise, the Self is beyond Dvaita and Advaita, nevertheless It is Advaita"
See how the mind is caught up in ideas!It is all the time setting some exotic goal so that it can perpetuate its seeking.It attaches itself to some grandiose idea and feels gratified. The Jnani does not claim that he knows something 'Beyond'.All that he says is -'I see the same necklace that you see.You see the glitter and shape of the necklace.I see the plain Gold in that. "It is not to say that Gold is 'Beyond' the necklace.The Necklace is Gold.Does he deny that Gold cannot be shaped into necklace or ring,etc?No. This is why it is said that God is at once Formless and yet He is all these forms manifested in the universe. In Tamil the words are 'Mei PoruL'=Truth Substance(Gold in our analogy mentioned above),iRaivan=He who is 'Spread'(iRaithal-tamil)as the universe ,kadavuL=Transcendent being,Andavan=The one Beyond. It is clear that God is all these and more. And the methods, as you are aware, He pointed out to gain the Self-Realisation are Atma-Vichara or Self-enquiry and self-surrender. He even went on to elaborate that for one who feels vibhakti, there must be bhakti or devotion. So long as one feels separated, there must be a method of reunion (Yoga). Till the Source or the Self is reached , there is duality also in the Quest for the Truth as in bhakti or devotion. Yes, dear Sri Ravi.N, for one who has reached the Source, or when the yogi has reunited with Him, or when the bhakta has won his God of devotion, there is no duality. For such one, there is no such distinction as Absolute or relative, etc. All is God. After all God is conceived in and by the Self which goes on to make it obvious that He is really one with the Self. Therefore, it follows that even during stage of sadhana, He is not different even now. You have observed in your post that what God is and what He is not is not a matter for discussion or debate or a matter of concept. No, we are certainly not discussing what God is and what He is not. We are doing Self-enquiry and even self-surrender corresponding to our progress in the Vichara. For Sri Bhagwan teaches that as one progresses in Vichara he automatically goes on surrendering to that extent. We are practicing Vichara to know the closer one, i.e. the Self which is effulgent in the Heart as â€˜Iâ€™-â€˜Iâ€™( as Sri Bhagwan has taught) rather than knowing God who is far off. Moreover, dear Sri Ravi.N, it is worth mention here that Sri Bhagwan says that this Quest- Self-enquiry or Atma-Vichara ( as taught by Him) is the Great Yogaâ€”Maha Yoga because all the Yogas are included in the Quest. "We are practicing Vichara to know the closer one, i.e. the Self which is effulgent in the Heart as â€˜Iâ€™-â€˜Iâ€™( as Sri Bhagwan has taught) rather than knowing God who is far off. " I understand this.All that I am saying is that 'Close' and 'Far off' are also ideas.No seeker is trying to seek a God that is 'Far off'. All ways are the same-they help to quiet the mind, and the quiet mind experiences Love and peace -God. This is a very key tip off.Just what is the significance of this wonderful saying of Sri Ramakrishna? I have seen discussions ,often endless and inconclusive about Self-Enquiry and how it is practised by different devotees in David Godman's wonderful Blog(I warmly recommend that site to all devotees.David is indeed a Blessed child of Sri Bhagavan! ).Often these discussions centred around how to hold onto the 'I' thought to the exclusion of other thoughts(one of the description was 'Fiercely'-and this seemed to be favoured by most of the partcipants). In general,it is understood that one is after the 'I' as one would look for a thief,and in the process the thief would disappear. Now what Sri Ramakrishna is pointing out is -Do not forget that you are after the treasure and not the thief!Just be open to the treasure and then you may not have to look for the thief!Looking for the thief is a ploy to come by the treasure.It is the Treasure that you are interested in and not the thief.Then the treasure will possess you! What Advaitins say is that no matter you want it or not one day you will go into complete nonduality. But what about bhaktas who want to be with the Lord forever in visishtadvaita? Some advaitins say that the sleep and death take "your God away, where is He now, hm?" Nondualists say that only nonduality exists but is that the Only Reality or "their" view from Absolute position they are in? 2. One who has realized that Only and Only the Self exist beyond experiencial duality? For me definitions jivanmukta is one who is in constant happiness. What is your opinion? Lord Ramana always give very interesting and lovely statements . I would appreciate if Sri Ravi gives his opinion based on Bhagavan Ramakishna's views. Sri Ravi, it reminds me about a verse in the Quran where it is said that Allah is closer to man than his jugular vein. Jesus has said that He is in people, Vedanta tells us that He is in us. But nobody listens. God is transcendent but immanent too says Isha Upanishad. God is everywhere. But nobody listens. Self-inquiry is just looking for God within us (seeking the Kingdom of Heaven which is within as Lord Jesus said). defining a Jivan Mukta, as the one who is ever in peace. -isms do not attract him. Jivan-Mukta is one who is completely surrendered to God and hence totally free from Ego and its concommitants Fear and Desire. All this Dvaita,Visishtadvaita,advaita is needless hairsplitting .Let us say that Fire is there. Dvaita advocate says that a spark cannot be equated to fire-All jivas are sparks of one fire.Atma =Spark and Paramatma =Fire. Visishtadvaita advocates say that Spark is part and parcel of Fire;It is fire yet a part of the Fire. Advaita advocates say that there is only Fire and Fire alone. So,it is clear that all are the same.There have been Jeevanmuktas in all the three categories.All these are Great Sages and saints. Example :The Great Saint Raghavendra is a dvaitin;The Great Nammalwar is visishtadvaitin;Sri Sankara is a Advaitin. We only need to remember that God is one only and all these Great ones despite all seeming outer differences realized the same Sat Chit Ananda. disciplines; I accept all paths. I respect the Saktas, the Vaishnavas, and also the Vedantists. Thank you, Sri Ravi. I have not problem with philosophies. What troubles me is that one school tries to discredit the others and this makes me sad. You know what I mean. I can give very known examples as Sri Srila Prabhupada and most of the christians. vaishnavas and muslims. I am waiting for your continuation eagerly. "What troubles me is that one school tries to discredit the others and this makes me sad. You know what I mean. I can give very known examples as Sri Srila Prabhupada and most of the christians. vaishnavas and muslims. I am waiting for your continuation eagerly." I am totally with you on this.Our Holy Mother Sri Sarada Devi,Consort of Sri Ramakrishna says so simply and Beautifully-'Uncle Moon is everbody's uncle';Likewise God is God for all.All of us share the same sun,the same moon,the same stars;We all breathe same air and drink the same water.How can it be any different with God.Lord Jesus,Prophet Muhammed,Lord Buddha,Lord Sri Krishna -all have spoken the same Truth.The language may be different,the Customs and observances may be different-yet the spirit is same. Sri Ramakrishna practised all religions-He practised Christianity and had direct vision of lord Jesus;he practised Islam and said NamAz 5 times a Day and during this period he just did not step inside the Kali temple!He Practised Tantra Sadhana(some of the most esoteric and exotic variety),Practised vaishnava Sadhana,and advaita sadhana-Name it and he has done it,not just in theory or principle but actually..This is the reason that his words carry extraordinary power-the power of Truth. I will post on sri Ramakrishna in the Rough Note Book-Open Forum. I truly enjoyed the pictures that you have posted.Harmony of Religions is the special message that sri Ramakrishna gave to this faction torn world,and he just lived his message. I should also say that The Sage of Kanchi ,despite coming in the tradition of advaita Vedanta respects all Religions and philosophical Systems.All Great ones,despite their emphasis on one System(This is needed by the people),have a healthy respect for Truth and Other Great ones.We can take heart from this.The Sage of Kanchi used to advise all christians who came to him enthused by the Philosophy of Advaita -Learn the Bible thoroughly and abide by the teachings of the Bible-Advaita is not something exclusive to Hindus!If one truly practises the Teachings of Lord Jesus,the Christ,nothing more is needed. "The foxes have holes and the birds of the air have nests, but the Son of Man has nowhere to lay His head"-What renunciation!!! "Man shall not live by bread alone, but by every word that comes from the mouth of God"
All so wonderful and thoroughly inspiring and what power behind these sayings! "What Advaitins say is that no matter you want it or not one day you will go into complete nonduality. But what about bhaktas who want to be with the Lord forever in visishtadvaita? Some advaitins say that the sleep and death take "your God away, where is He now, hm?" Nondualists say that only nonduality exists but is that the Only Reality or "their" view from Absolute position they are in?" To answer your query,quite simply-I do not agree with the above view.The reason is that this statement is based on duality!Nondual truth cannot be arrived at.It is ever present and if a person like Bhagavan can live on earth in Nondual truth ,what prevents him from continuing in a subtle body in another world!We can see the fallacy of this statement(From the perspective of absolute).The absolute is not opposed to the Relative! just read, that Sundaramurti had gone to; does it really exist? We imagine that to perceive the nondual truth ,all forms should vanish!It need not be.Nondual means indivisble whole.We see our body with all the parts like legs,hands,stomach,face ,eyes-all form a whole -the Body.To perceive the Body as an integral whole we do not have to get rid of hands or legs or stomach,etc.Just that we perceive it as a whole and not as aggregation of individual limbs. In principle there can be no objection to a Bhakta who wants to be sitting and looking at Lord Jesus Christ for all eternity(The preference of Dvaitins! )!Provided the Lord permits it! what a way to begin the day, please keep posting Bharathiyar poems as and when you can. What fire in his words! What energy in his words. Vchara is the process and the goal also. â€œI AMâ€� is the goal and the final Reality. To hold to it with effort is Vichara. When spontaneous and natural it is Realisation. Yes, aim of all ways is only to quieten the mind. Sri Bhagwan says that Peace is our real nature. Contrary ideas are only superimpositions. This is true bhakti, true yoga, and true jnana. Dear Sri Ravi.N, we may say that this is acquired by practice, but truth is that only erroneous notions are shed off by the practice. That is all. Sri Bhagwan says that our true nature always persists. Dear Sri Ravi.N, I humbly wish to say that Vichara, as taught by Sri Bhagwan, is subjective, and not objective. Therefore, it cannot and need not be shown by anyone. 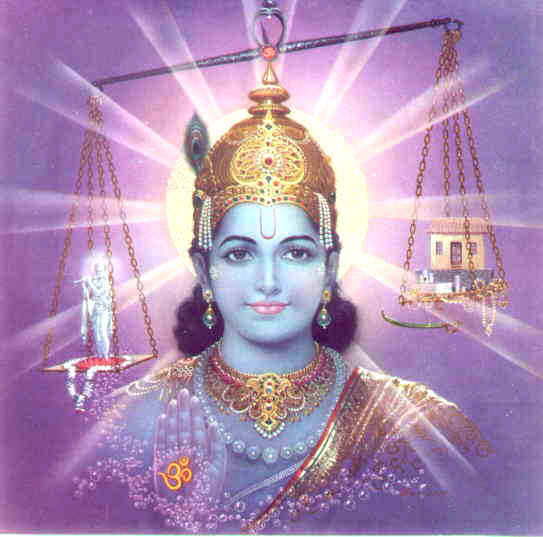 Sri Bhagwan : Is it necessary to show anyone the way inside his own house ? If the seeker keeps his mind still, that will be enough. Besides, dear Sri Ravi.N, an answer that comes in by the mind is no answer at all. THE ANSWER. SAYS SRI BHAGWAN, IS THE EXPERIENCE OF THE EGOLESS STATE. Before enquiry is setup, before the Great Quest is launched, it is imperative, in my view, to have an intellectual and a little intuitive understanding of what one is up to. First, it is proper, perfectly in order of things, to analyse the ego-sense and separate the real from the unreal, for we are aware that ego has an element of reality mixed up in it, NAMELY THE LIGHT OF CONSCIOUSNESS, MANIFEST AS â€˜I AMâ€™. This â€˜I AMâ€™, teaches Sri Bhagwan, is real, because it is the part that is constant and unchanging. Sri Bhagwan says that we need to reject the unreal part, the sheaths or bodies, and take the remainder, the pure â€˜I AMâ€™ . Sri Bhagwan: Your duty is to be, and not to be this and that. This â€˜I AMâ€™, dear Sri Ravi.N, is the GREATEST CLUE TO FINFINDING THE REAL SELF. By holding on to this clue, teaches Sri Bhagwan, we can certainly and surely reach the Self. It is well known that He often compared the seeker of the Self to a dog seeking his master. The dog has nothing but the masterâ€™s scent to guide him. By following the scent, leaving everything else, he ultimately finds his master. Dear Sri Ravi.N, â€˜The â€˜I AMâ€™ in the ego-sense is exactly like the masterâ€™s scent for the dog. SRI BHAGWAN SAYS THAT â€˜I AMâ€™ IS THE ONLY CLUE THE SEEKERS OF TRUTH HAS FOR FINDING THE SELF. BUT NEVERTHELESS, IT IS AN INFALLIBLE CLUE. Well, Sri Bhagwan says that the Self is known to everybody but not clearly. We always exist. The Be-ing is the Self. Sri Bhagwan says that when â€˜I AMâ€™ which is within the awareness of everybody, alone is, It is Absolute Existence. â€˜Iâ€™-â€˜Iâ€™ is the Self. We are aware that this shining is always there. Well, Sri Bhagwan says that if the â€˜Iâ€™ is kept alone it is the Self; when it flies at a tangent and says â€˜thisâ€™ it is the ego. Dear Sri Ravi.N, in my view, VICHARA AS TAUGHT BY SRI BHAGWAN IS HOLISTIC. For instance, can there be ever a greater clue than what Sri Bhagwan has Himself, out of love and compassion, given to the seekers of Truth ? I have no disagreement with you.